Hello Friends! The Brutus Monroe Inspiration Team is creating projects using a cozy Christmas color palette for this weeks Wednesday Blog Hop. Today the team is Crushing it with the following Color Crush Theme. 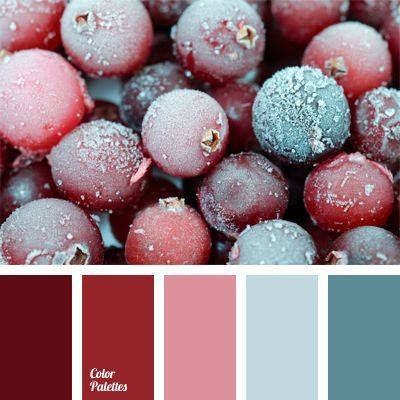 I choose to create a winter scene using the colors. To begin I added rock candy to the bottom of the panel and covered it with Fallen Snow Glitter Glaze. For the snowman I masked off several stamps from the set Build a Snowman to create my snowman with a hat and scarf. 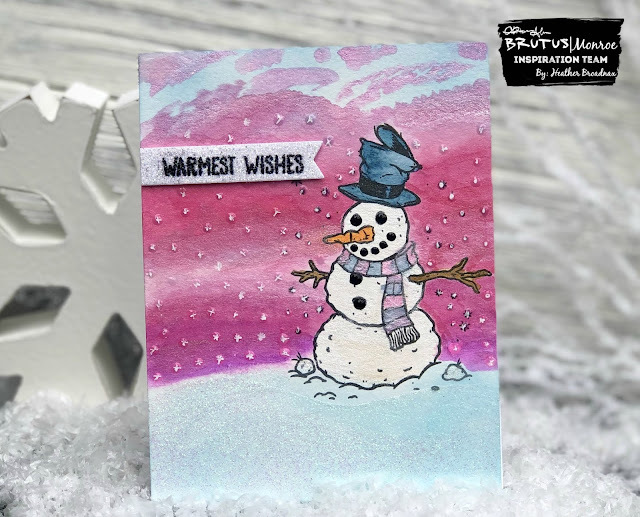 The mask were left in place to create the sky background using Aqua Pigments from set 1 I love the look of a pink, purple sky setting over the mountain of snow holding the snowman dressed up for the winter. I also used Aqua Pigments to color the snowman. I mixed several colors to get the desired colors for the challenge. The body of the snowman is covered with Pearl Aqua Pigment. The pearl added shimmer like snow to make the snowman appear more realistic. 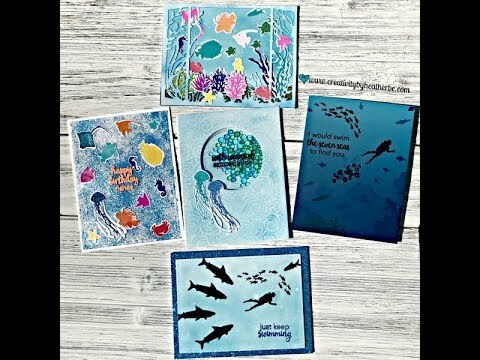 The sentiment is heat embossed with Raven embossing powder on a fishtail cut from Fallen Snow Glitterstock. 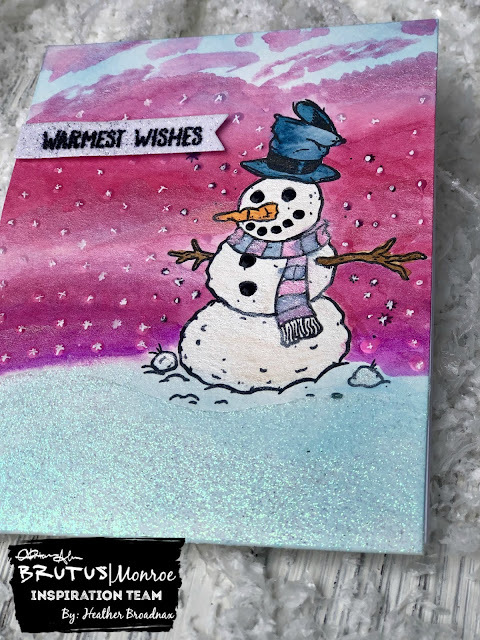 The final touch was adding snow throughout the sky using a white gel pen. It was a fun challenge to create with a color pallet that I typically would not chose. I encourage you to try to step outside of your "color comfort zone" and see what you can create! 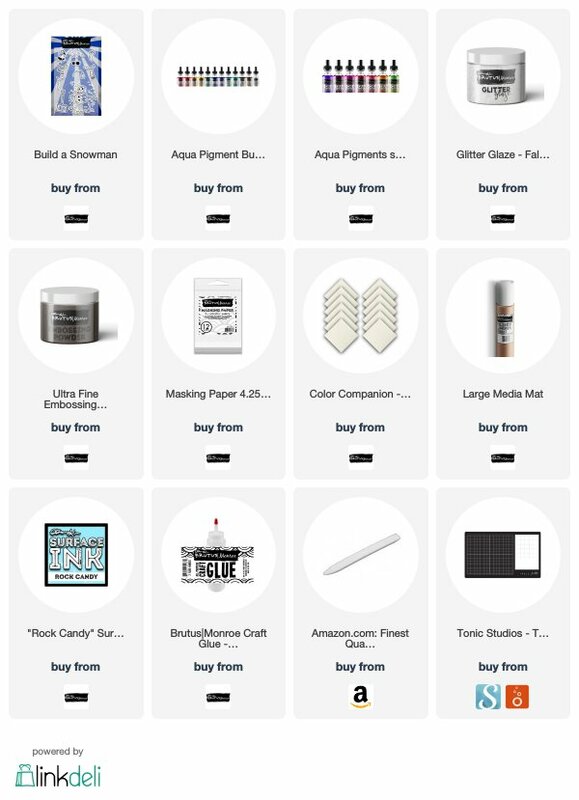 Check out all of the other wonderful projects from our Inspiration Team below. 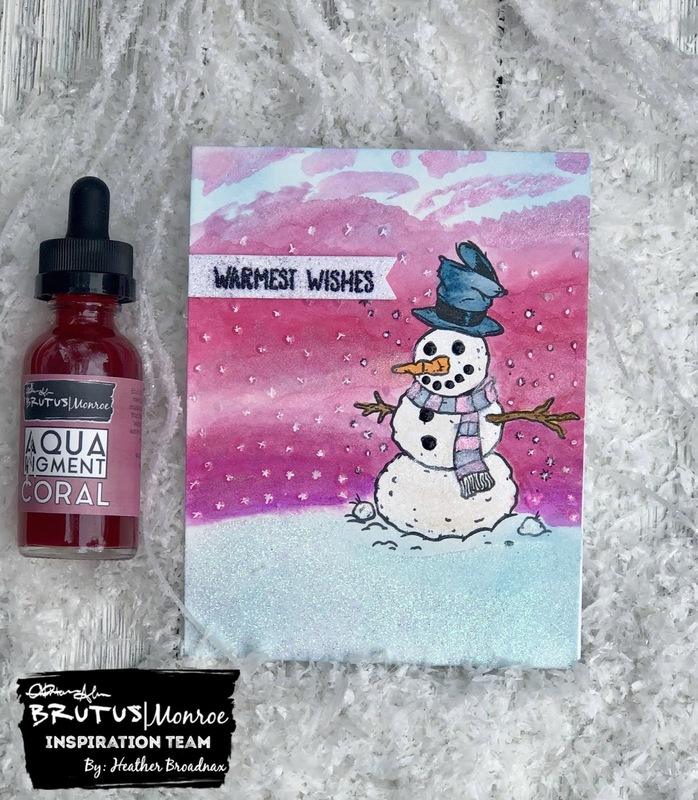 Heather, you nailed this color crush challenge. Love this card.